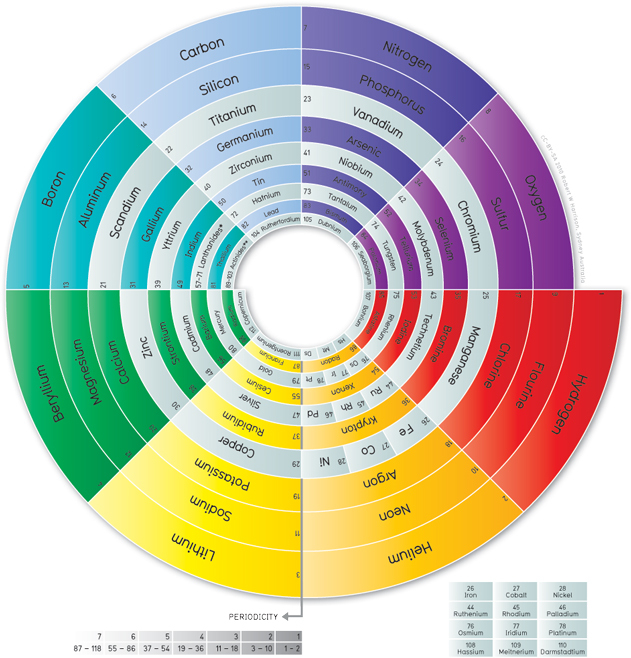 This year is the 150th anniversary of the creation of the Periodic Table. Dmitri Mendeleev’s famous table hangs in every chemistry classroom and even appears on shower curtains, mugs, and T-shirts. The famous design has been parodied many times, as well, such as the Periodic Table of Cocktails or the PURRiodic table of internet cats. Not every parody follows the basic rules of the original, though. The periodic table is not just a random selection of blocks with abbreviated element names on it. The power of the table is in organising the elements by their atomic properties. 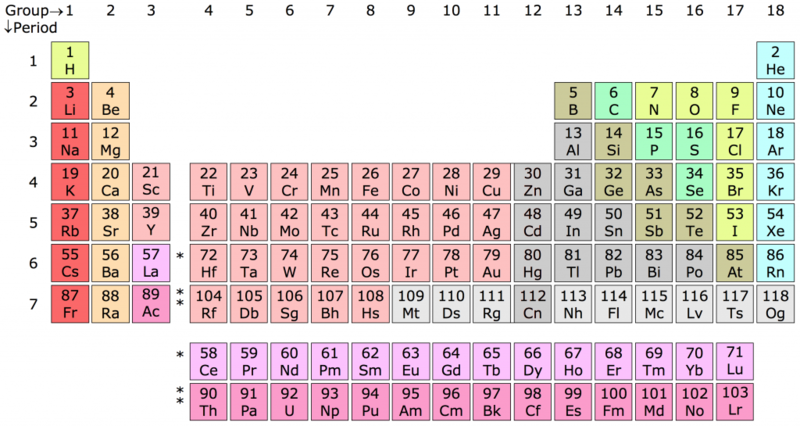 When Mendeleev entered all the known elements in his table, he could tell from the gaps that some elements were missing. This is how he was able to predict the existence of Germanium. The Periodic Table organises the elements in a way that shows an increase in atomic number as you go from left to right. (Although Mendeleev originally created it flipped by 90 degrees). For every new electron shell, a new row (or “period”) is started, so every element in the first column (or “group”) has one electron in the outer shell. Because the innermost electron shells have room for fewer electrons than the ones around it, the periods get larger as they go down, with part of the Periodic Table not even fitting properly inside it. 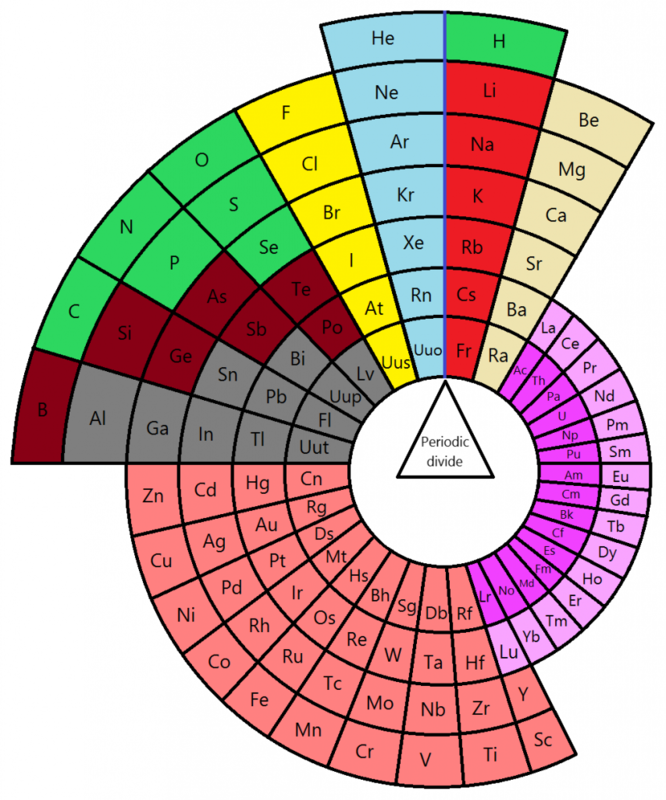 It’s a useful organisation system for chemists, but it’s not perfect for everyone, so over the years some people have developed alternative Periodic Tables that worked better for their own needs. The left-step periodic table, invented by Charles Janet in 1928, moves the groups around so that hydrogen and helium are next to each other at the far end of the table. It also moved the lanthinides and actinides into the main table. This layout is more informative when it comes to seeing which electron shells are filled and in which order. Rather than grouping by chemical properties, it’s sorted by the kind of information more relevant to physicists. Theodor Benfey published the periodic snail in 1964. 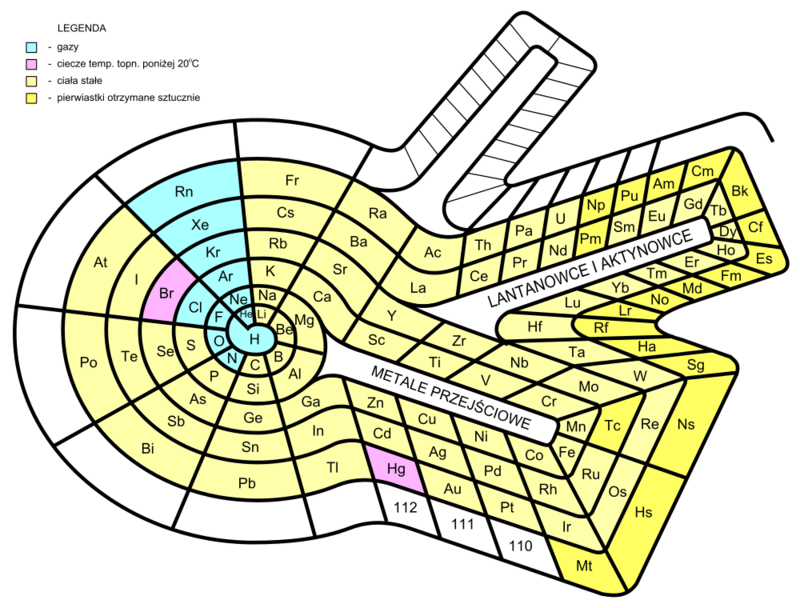 It organises the elements in a spiral shape, and brings the lanthanides and actinides into the fold as well. 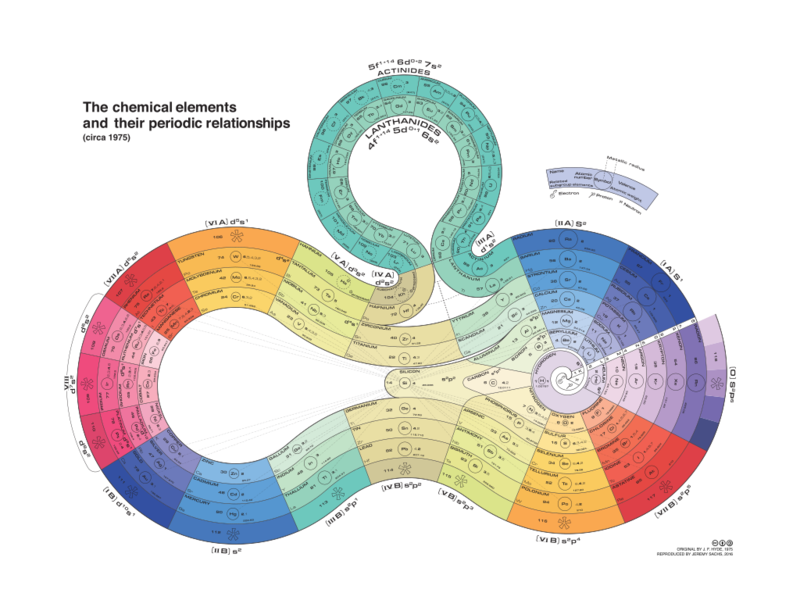 James Franklin Hyde created this colourful curled ribbon periodic table in 1975 to draw more attention to the elements that were most important to him as an organosilicon chemist: Carbon and silicon. Two of the tables above are spirals, and several other people have created circular periodic tables. These all show the periodicity of the elements more clearly than the traditional table does. After all, Mendeleev’s choice to start a new line for every new electron shell was just an arbitrary decision. These circular tables don’t start new lines, but just wrap around. You can see a few more alternative tables on Wikipedia, but many of them are rarely used. Mendeleev’s original version suits most people, and is relatively easy to read. And after 150 years, we can safely say it has withstood the test of time! This is so cool! Thank you for sharing such an interesting article!